In San Luis Obispo County, the new year is rung in with taste. The month of January is SLO CAL Restaurant Month, in which participating restaurants offered special menu deals. 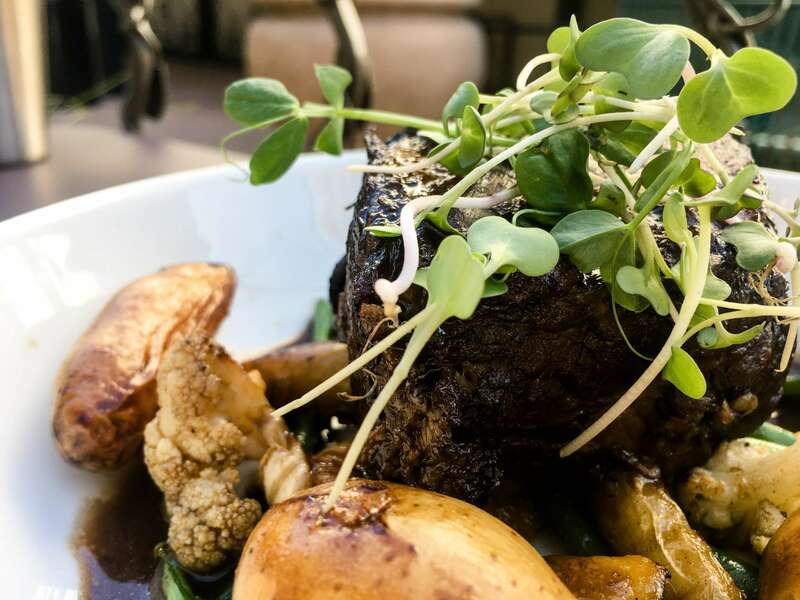 This year, 21 restaurants in the city of San Luis Obispo took part in the festivities. While scoring deals at local eateries is good for a college budget, these deals also bring to light the importance of San Luis Obispo’s food culture and the people who bring it to life. Luna Red can be found on Chorro Street, identified by its lush and vibrant outdoor dining area, aglow with string lights. According to Floor Manager Michaela Campo, Restaurant Month brought in some new faces along with loyal, long-time customers of the restaurant. Typically, the restaurant is “high in volume with a lot of college kids,” who like to come for tacos and happy hour. Best known for its clam chowder, salmon tacos and bacon cheeseburgers, Splash Café has been satisfying the stomachs of San Luis Obispo and Pismo Beach locals for years. Owner Joanne Currie said Restaurant Month utilizes one of the slower months of the year to excite people about food, encouraging them to try different things. Currie has owned the Pismo location for 27 years, having bought it as a 6-month-old restaurant with only 15 seats. Since then, Splash Café has been been rebuilt and expanded, finding its way to downtown San Luis Obispo in a location on Monterey Street. Currie has also owned this location for 13 years. To Currie, Splash Café and its employees are like her children. She said she enjoys her Splash Café family, which includes those who dine there. Mint + Craft, café and mercantile, sits on Monterey Street, a pop of white and green. The restaurant is owned by Robin Covey and Shanny Covey. 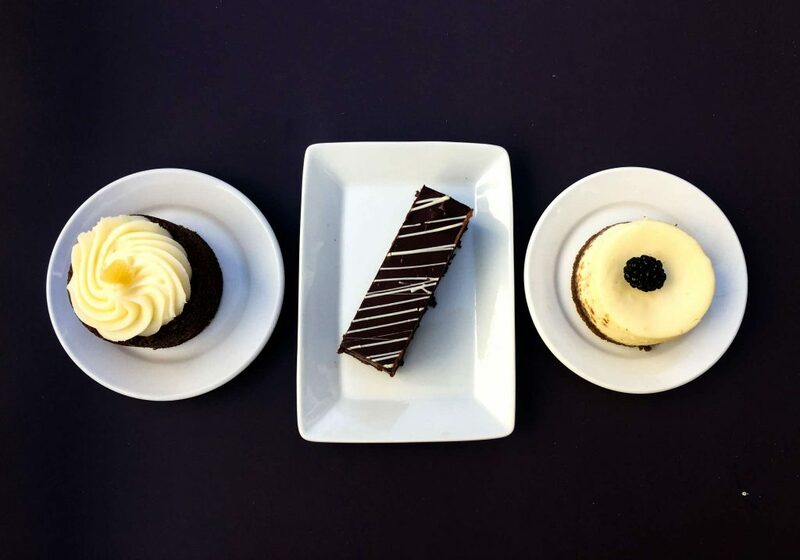 Mint + Craft offers an assortment of house made desserts to share. Milestone Tavern was opened in May of 2016 by Earl Olson and his business partners. The restaurant and bar is located on Foothill Boulevard and sees Cal Poly students regularly. Olson said he enjoys being a restaurant owner, but he does not think that it is a job for everyone. “It’s a lot of hard work, a lot of long days and a lot of long weekends … It’s very rewarding when it works out,” Olson said. Madonna Inn has been a San Luis Obispo landmark since it was opened in 1958 by the Madonna family. Copper Café is located inside the inn on Madonna Road where popular pink champagne cakes and black forest cakes are served in the bakery. Dickinson has been working at Madonna Inn for two years, but he became a customer in the early ’80s when he moved to San Luis Obispo. Visits to Madonna Inn became a holiday tradition for Dickinson and his family. 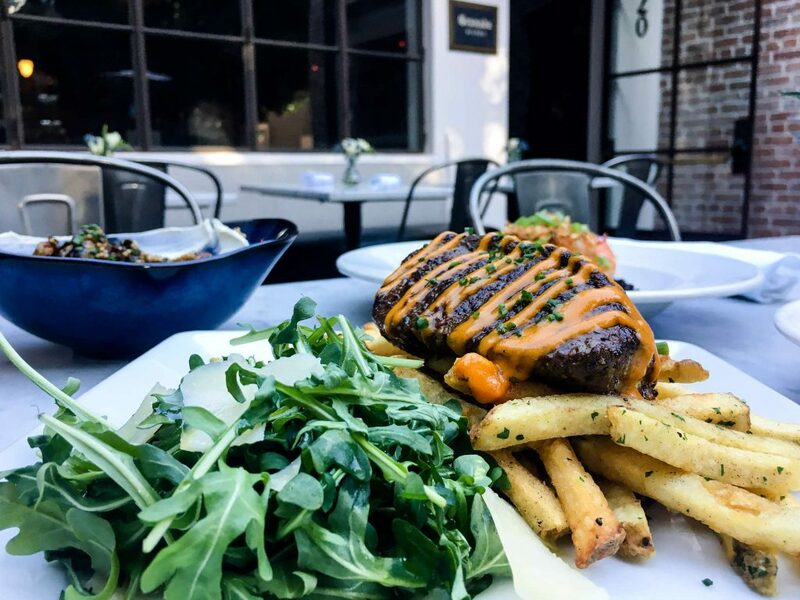 One of the entree options available during Restaurant Month is steak frites with rouille at Granada Bistro. “I feel super energetic when I walk through the doors and I want people to experience the same things that I experienced with my family,” Dickinson said. Two additional restaurants, Cafe Roma and Granada Bistro, are participants in Restaurant Month. Cafe Roma offers a classic Italian fare with options like veal osso bucco, carpaccio and tiramisu. The historic Granada Bistro offers unique and diverse options, ranging from a more classic steak frites with rouille entree to a meal of orange and chili-glazed prawns with forbidden rice and roasted broccoli.